In a bid to contribute towards the evolution of the healthcare domain, New York headquartered Stratus Interoperable assists healthcare organizations to streamline the mammoth sized data acquired, conduct analysis that will deliver better insights to drive better decision making and optimize distribution capabilities with its unique and robust cloud-based StratusLink platform. This Data Management and Business Intelligence platform diligently works towards continually improving patient outcomes at an economical cost. This is accomplished by turning data from all source systems into valuable information that can be acted upon to help make better clinical and operational decisions. Post conducting a deep market research and analysis, the founders at Stratus Interoperable with their deep industry knowledge and experience in the healthcare and technology domain established the company in 2014. Once the client is onboard, the team of highly skilled professionals commence the process by extracting and organizing the data from all source systems, regardless of the format. Other vendors can organize and apply basic analytics to data already existing within their own transactional systems, but have not demonstrated the ability to integrate data from all source systems as opposed to just data residing within their system. With set guidelines in place, Stratus Interoperable organizes the amalgamated information by vendor, then by patient in every system that the patient’s records exist in. This is followed by normalizing the acquired data that encompasses creating an audit trail, ensuring there are no anomalies in the data itself and assuring the data is tagged to every patient for future use when one may need to access patient data. The right information from the right patient can be attained anytime, anywhere in the form of a comprehensive report, executive dashboards or Clinical, Operational and Financial viewers that are patient specific, or, de-identified current, trending and predictive analytics. The data is then ready for analysis. This is where Stratus Interoperable’s forte lies, being a leading-edge data management and healthcare analytics firm it creates KPIs (key performance indicators) designed to present information within an actionable environment. “We make sure we prepare our customers to make decisions both clinical and business using in-depth knowledge derived from data trapped within their own systems. Executives are ready to process their claims easier, faster and with more detail so that there are less objections which in turn speeds up the payment process. We make sure we help our clients avoid audits or be better prepared for audits. 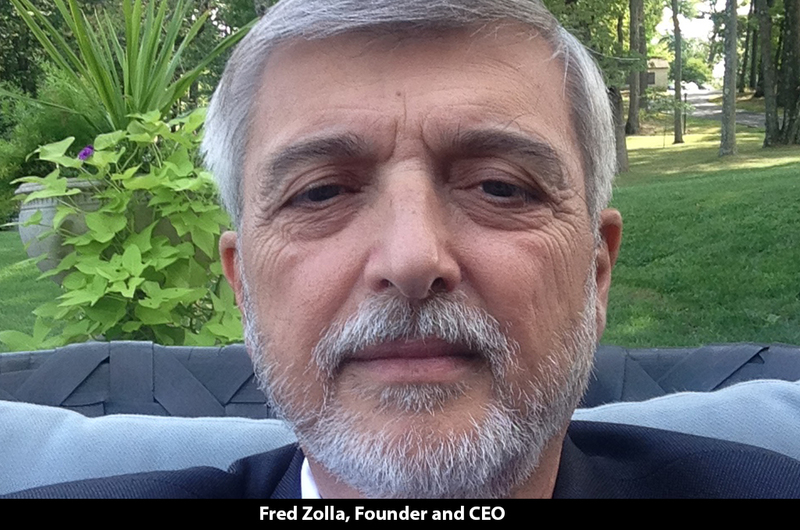 We make sure that the process is streamlined and are much more efficient,” explains Fred Zolla, Founder and CEO, Stratus Interoperable. Offering a holistic view from accumulating data from all the sources onto an easy-to-use dashboard, the company enables executives make better decisions with the ability to manage the facility. “Our analytics can give the CTO or CIO or the right stakeholder exactly what they need to see and display what is going on in their part of the responsibility to the organization. What is strong, what is weak and what needs improvement can be done through analytics,” informs Fred. Beneficial at a clinical level as well, the physician or the healthcare provider can avail a view of the patient’s record thereby eliminating the need to go from screen to screen or flipping through pages of data to locate the exact piece of information needed. Everything is organized chronologically and segregated based on how the client demands to view it. Clinicians get a complete 360 degree view of all the data/patients records at their fingertips. “So the differentiator is that any EMR system out there or any analytics system takes into account only a slice of data that is available. We found a way technologically, to aggregate data from all the data sources within the facility that applies to a particular patient and then you have the ability to apply the analytics and the KPI to that data. There is no one doing what we are doing in the market, which we know of,” says Fred. Catering to a huge customer base, Stratus worked with a well-renowned organization that was witnessing an influx of data from 23 data sources and was in dire need for compiling this data and deriving meaningful insights and better decision making. Bringing calm to the chaos, the team at Stratus Interoperable began with identifying the data by vendor and then by patient. They then proceeded to understand what questions or queries one would want to ask of this database. That is where the KPIs are. Fred goes on to tell us on how the team takes the data that is already there and makes it usable for the end-user to do their job more efficiently as they have the analytics that tells them specifically what is going on within their area of responsibility. Having gained a strong foothold in this domain, the company is now striving towards building a platform for ACOs (Accountable Care Organizations) that is intended to go live by the first quarter of next year. Additionally, the team will then work on designing and developing a solution for IPA (independent physician association) that is scheduled to launch later next year. The ACOs and IPAs are very similar as they got groups of doctors that conduct medical practices and they have to upstream the data so that they can create reports for all insurers or the Center for Medicare and Medicaid (CMS) and such. In conjunction with this, the company aims to release an updated version in the next six to eight weeks that boasts of a more powerful analytics engine with more KPI capability. Along the course of the future, Stratus Interoperable is on the lookout to forge an alliance with another company in the future that will add layers and layers of encryption which will permit the patient record to follow anywhere the patient goes and in an extremely secure environment. In essence, the company aims to merge or get acquired by another company that has the marketing muscle and the technology infrastructure that will help Stratus Interoperable build out quickly and continue to deliver value-added services.